Thanks to everyone who came along to this wonderful talk about Edgar Cayce and special thanks to Sandra & Gary who gave such as great talk and discussion. We did manage to record this talk and it now available to listen to again. We have something very special for you all on the 7th of November. Sandra Michelson is coming to share her knowledge of Edgar Cayce, with a fascinating talk and discussion. 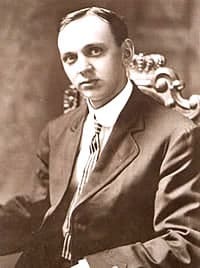 Taken from Wikipedia – “Edgar Cayce (/ˈkeɪsiː/; March 18, 1877 – January 3, 1945) was an American clairvoyant who answered questions on subjects as varied as healing, reincarnation, wars, Atlantis, and future events while claiming to be in a trance. A biographer gave him the nickname, The Sleeping Prophet. A nonprofit organization, the Association for Research and Enlightenment, was founded to facilitate the study of Cayce’s work. This Wednesday Workshop is taking place @ The Vault, Wallsend. 7th November 7.30 pm to 9.30pm. We are expecting this to be a very busy event and you do need to book your place in advance.